Demand for the Hörmann ThermoFrame has prompted the company to now supply this energy saving device as standard with all double insulated DPU doors. Often selected for cold storage loading bays the DPU door has 80mm thick, CFC free rigid polyurethane foam insulation that gives each door panel a thermal u value of only 0.3 W/m2K Thermal breaks between panels and the fine tolerances between door and frame ensure that a 25m2 complete door still has a u value of only 0.7 W/m2K . The ThermoFrame dramatically improves the thermal efficiency of sectional loading bay doors by providing a thermal break between the door frame and the fabric of the building. While the high quality engineering that Hörmann has built its reputation on gives a precision fit in the door opening, the heavy duty plastic ThermoFrame with its additional seals leads to an even more efficient closure. A remarkable 40% improvement in thermal efficiency is achieved when ThermoFrame is fitted with the DPU door, along with new UPVC locating and lintel profiles. It is this impressive performance that has created the demand in the market. 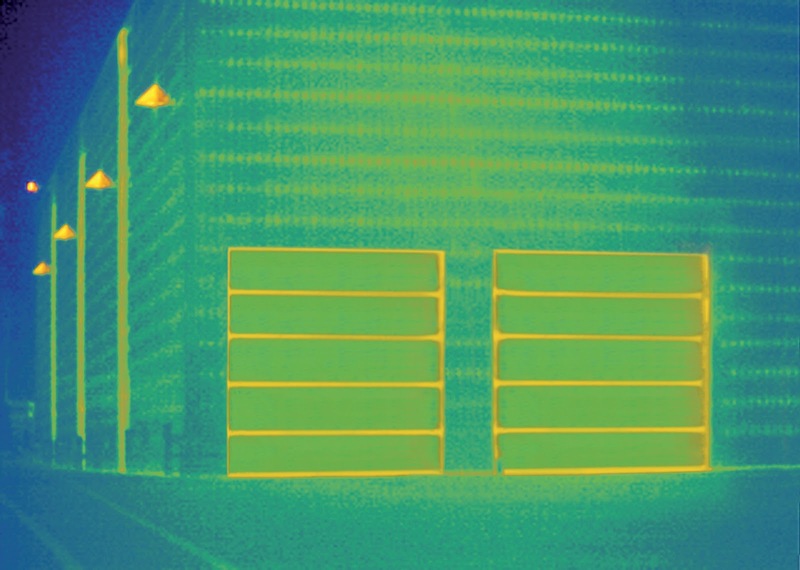 The benefits of ThermoFrame are not limited to the cold store area, in ambient warehouses where Hörmann's insulated SPU sectional door is recognised as the benchmark for Loading bays, thermal efficiency can be improved by a significant 20%. As energy costs continue to rise, the benefits delivered by ThermoFrame simply increase. Contact Hörmann direct on 01530 516888 or go to www.hormann.co.uk.